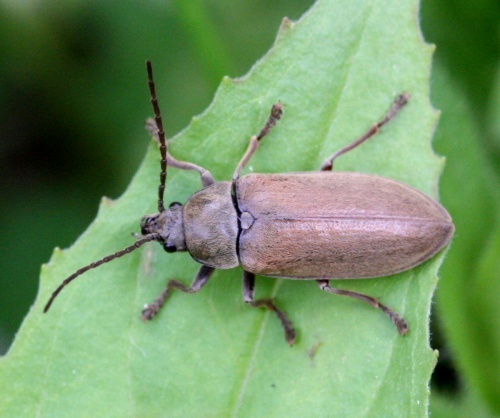 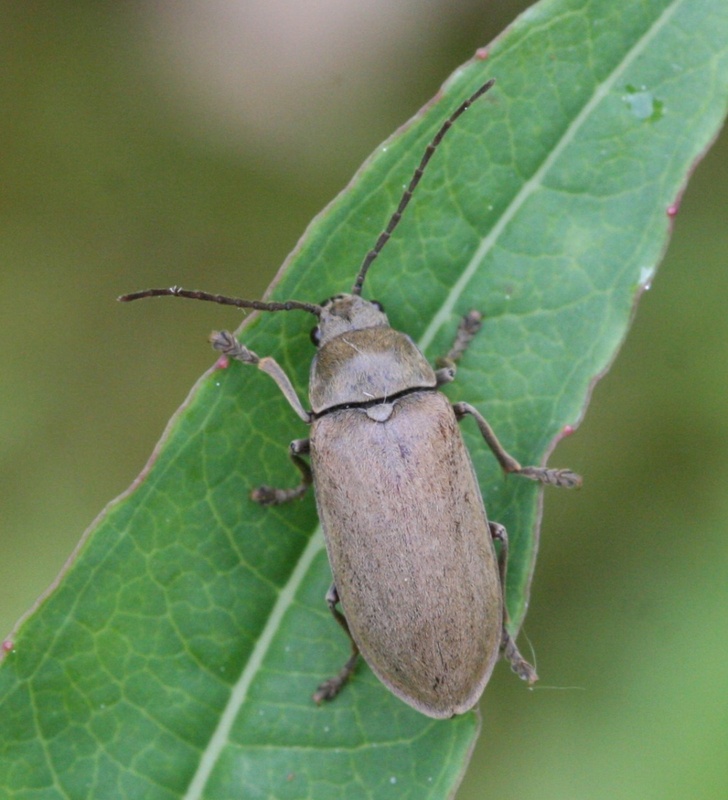 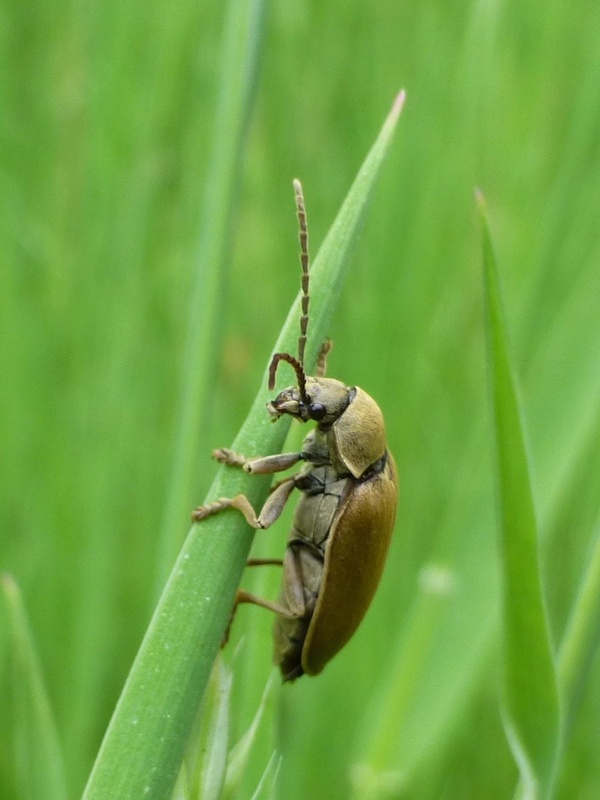 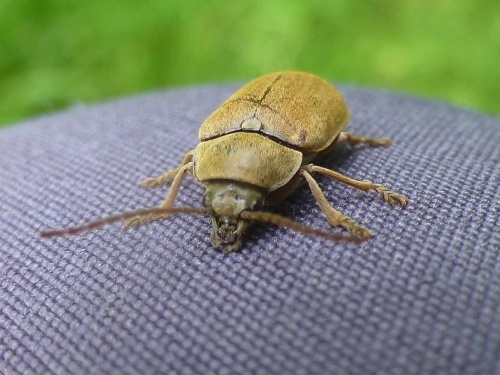 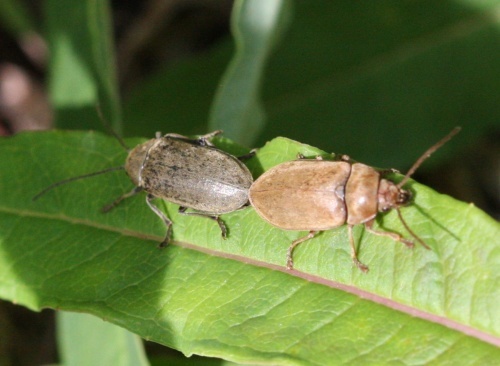 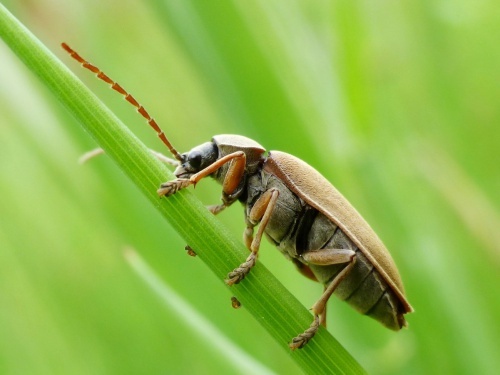 This beetle is about 1 cm long and is covered in hair, which is yellowish brown in the females and greyer in the males. 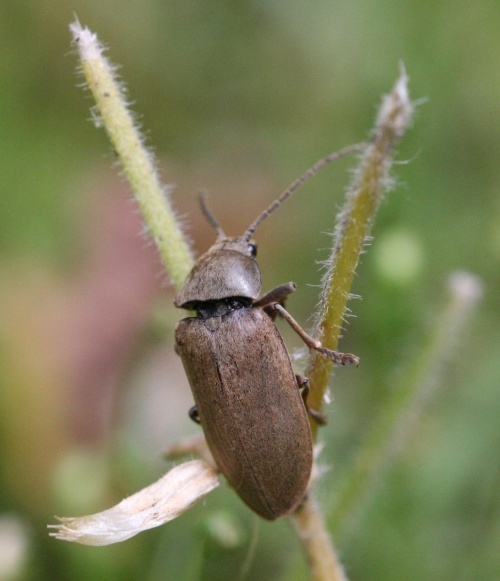 Rough grassland, usually on flowers, but sometimes in bushes. 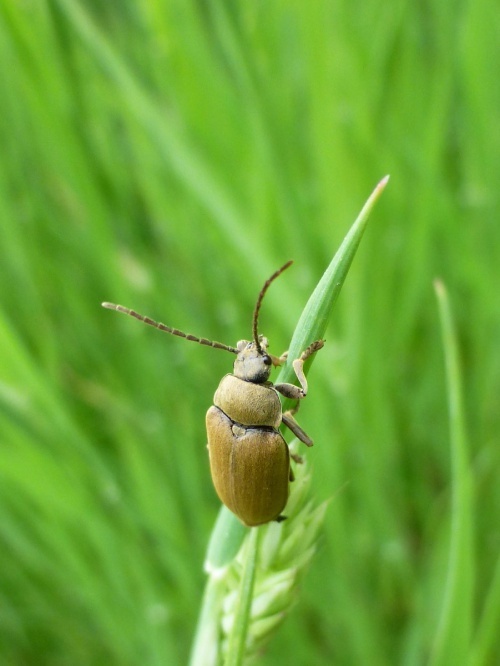 The larvae eat roots, mainly those of vigorous grasses.